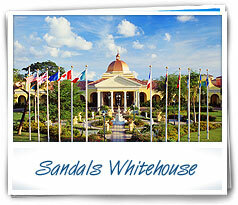 We have received some phenomenal group rates for Sandals Grande Riviera and Sandals Whitehouse for the Fall of 2012! We can also offer 1 complimentary room for every 5 rooms paid with a maximum of 3 complimentary rooms per group during specific time periods which are indicated below. The rates and complimentary policy are only applicable to contracted groups (weddings, social, meetings and incentives, etc.) up to 35 rooms. These gross rates are not combinable with the air credit promotion. 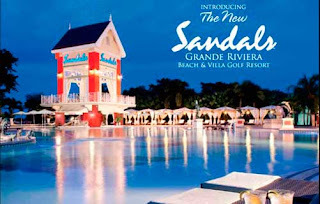 These concessions only apply to new group bookings as of June 8, 2012. This promotion can be changed or discontinued at any time via Sandals resorts. Please note that the rates below are not combinable with the Groups Fall Bonus Incentive Program.